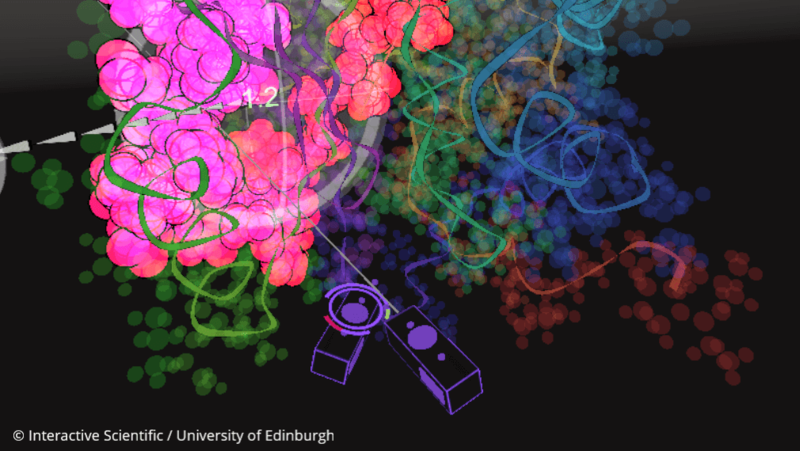 Interactive Scientific, alongside a team of scientists at the University of Edinburgh, has run a collaborative project over the last 12 months to develop Virtual Reality prototype software to revolutionise drug-design visualisation, utilising Interactive Scientific’s technology, Nano Simbox. The overall R&D spending in the pharmaceutical and biotechnology sector has grown from around USD 128 billion in 2008 to USD 158 billion in 2017*, to cope with the sheer complexity of the drug discovery process. Computational chemists currently use structure-based drug design (SBDD) to assist the drug discovery process, utilizing static three-dimensional structures of proteins. Ensemble-based drug design (EBDD) is an emerging alternative to SBDD that exploits the flexible nature of proteins and utilizes dynamic structural ensemble representations of proteins. 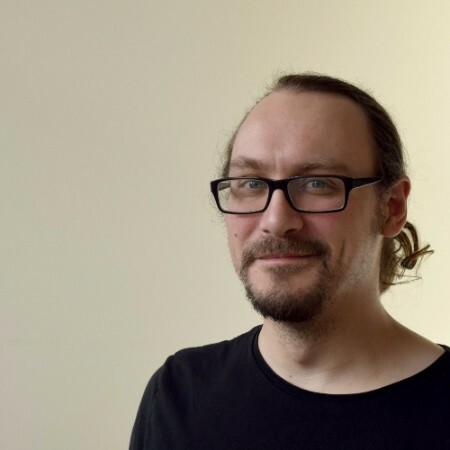 As part of activities funded by the European Research Council, a team led by Dr Julien Michel at Edinburgh has developed new EBDD software to generate such structural ensembles from a combination of experiments and molecular simulations. However, there is currently no efficient way for researchers to interact with representations of structural ensembles, the multiple stable conformations of a protein. This new project explores the development of Virtual Reality based User Interfaces (VRUI) to offer unprecedented possibilities and create novel ways of visualizing, operating on and gaining insights from molecular simulations to explore these different protein structures. Computational chemists at the University of Edinburgh developed the back-end molecular simulation software, while Interactive Scientific created the front-end visual realisation to develop the new approach. The collaboration was funded by a European Research Council Proof of Concept Grant and supported by Edinburgh Innovations, which manages industry engagement for the University of Edinburgh. Interactive Scientific has previously collaborated with the University of Bristol, which produced a publication in Science Advances, highlighting their study which also used Nano Simbox. This study demonstrated that VR was 10 times more effective for completing complex molecular tasks than traditional methods. The proof of concept developed offers insight into a VRUI that allows efficient visualisation of sets of molecular dynamics trajectories. The prototype software has been used to explore molecular motions of different complexity on a set of therapeutically relevant proteins. The project summary, titled “A Virtual Reality Interface For Ensemble-Based Drug Design” will be delivered by Dr Jordi Juarez-Jimenez, of the University of Edinburgh’s School of Chemistry, during the 6th Annual CCPBioSim Meeting: Molecular Simulations in Drug Discovery and Development; a showcase of biomolecular simulation methods and applications hosted at the University of Oxford on 5-7 September 2018. It is expected that this new generation software, which incorporates molecular dynamics information into drug-design flows, will reduce time and money spent in drug discovery pipeline. Interactive Scientific are launching their research and development software in autumn 2018, more details available at interactivescientific.com.